Store it. Share it. Sync it. Protect it. 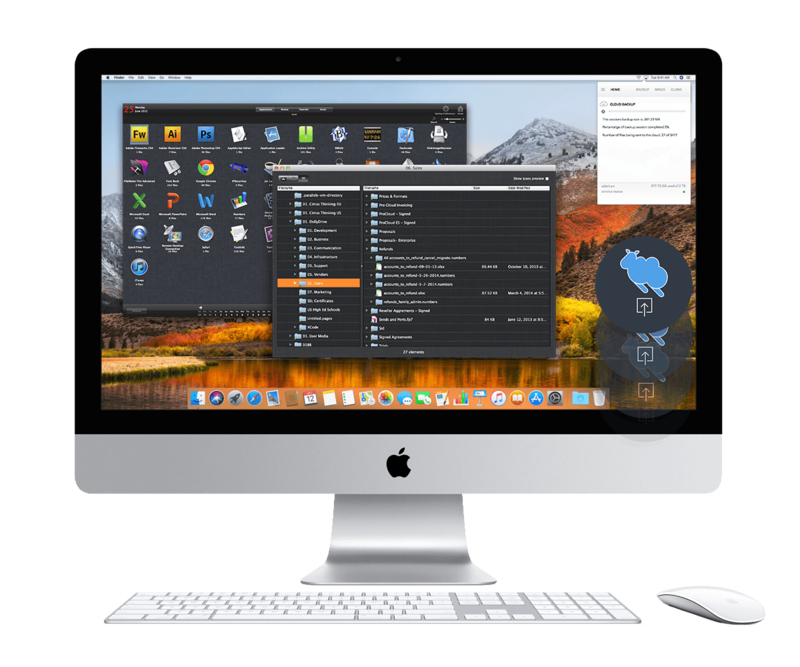 From the elegant Mac-inspired interface to the all-in-one backup, file sync, cloud storage, and clone, no one does more to make sure whatever you are working on right now is backed up and accessible. In your office, at home, on your MacBook or iPad, you can access your files anywhere with Space. Keep multiple Macs in sync, securely share files and folders, and access your files from DollyDrive's web portal. Cloud Backup quickly and automatically backs up your Mac in the cloud. You can easily restore any file, any time, or even roll back to an earlier version of your file. DollyDrive uses 256-bit AES encryption protect your data before it's stored on our secure servers. Don't worry, your secrets are safe with us. For extra protection, use DollyDrive to create an independent local backup of your data on a second hard drive. DollyDrive even offers a Clone function, so you can be up and running again in the time it takes to restart your Mac. With iDolly on your iPhone or iPad, your files are only a tap away. Never carry your laptop and still have access to all your files. Our streamlined interface combines all DollyDrive's services into one easy-to-use Status Bar. Finder integration means DollyDrive works the way you do, and our Scheduler gives you set-it-and-forget-it protection, automatically. Get to know DollyDrive For Free! Sign up for 100GB free for 14 days. We already know how great DollyDrive is, and we want you to find out for yourself. When you decide to upgrade your account, you can do it seamlessly without losing any of your prior backups, clones, or stored files.